In Ireland apart from great pike, salmon and trout fisheries we have also nice perch fisheries. You can catch here several hundred perch a day, all in good sizes. You can find 50+ fish. Not many local or the anglers who visit me are focused on this fish species, what does not mean that they are easy to be caught. 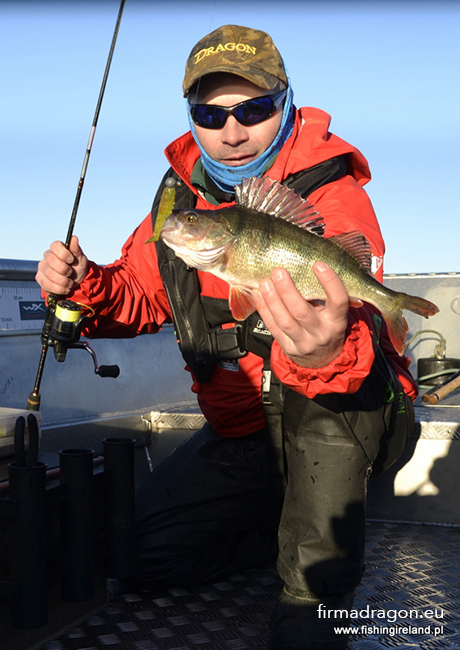 Perch is really clever and sometimes it is really difficult to choose effective lure or technique of fishing. 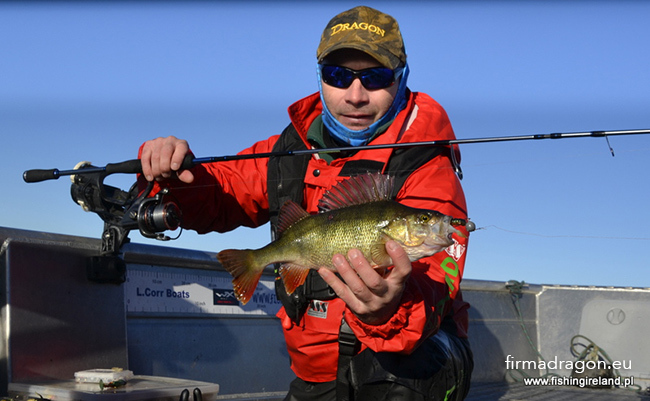 When I go to fish for perch I take 3 sets which work perfectly together, with me. Set nr 1. Spinning rod Dragon CXT SF-X Super Fast length 1.90 m, t.w. 1 - 12g. Reel: Team Dragon FD920iZ . Braid 0.10 mm. Set nr 2. 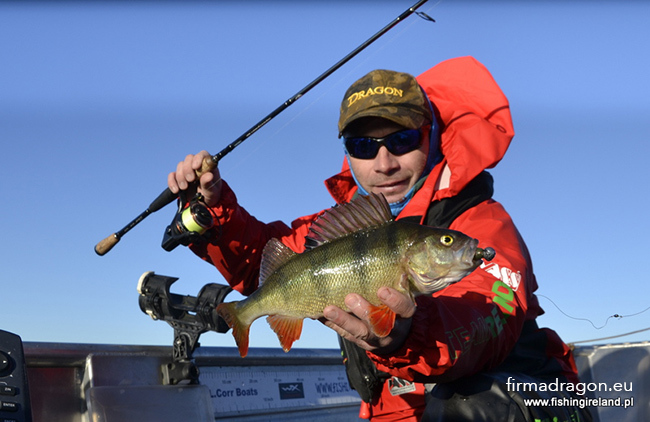 Spinning rod: Dragon Nano Force Spinn 15, length 2.13 m; t.w. 2-15g; Reel: Dragon Fishmaker II FD1125 . Braid 0.12 mm. Set nr 3. 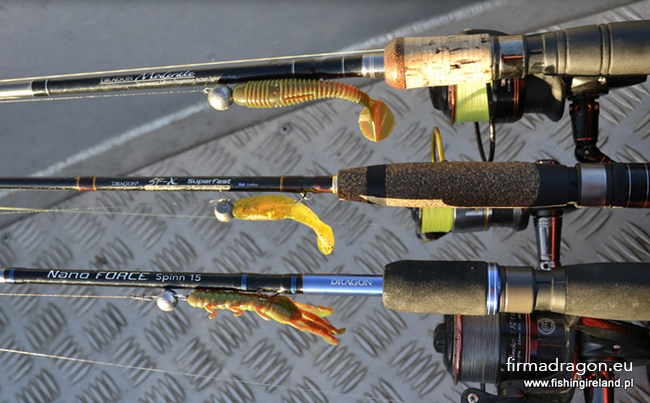 Spinning rod: Dragon Moderate, length: 1.98 m; t.w. 7 -21 g.; Reel: Dragon Fishmaker Ti FD1125i. Braid : 0.13mm. 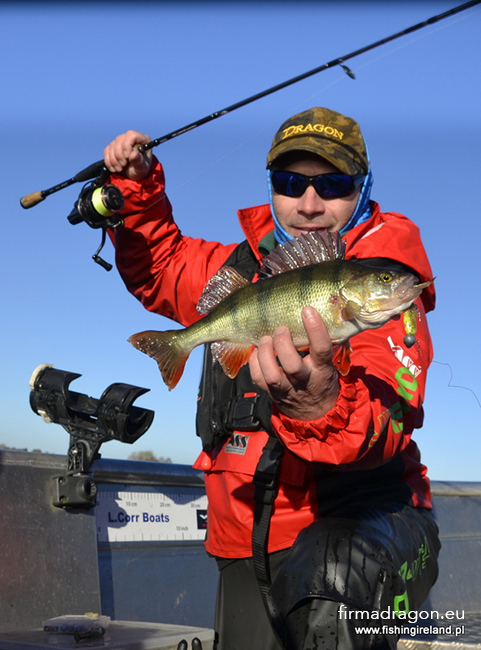 Thanks to them I am able to fish with lures with lengths from 1.5 cm to 10 cm and they are not only soft lures but also wobblers and spinners . As well as on deep as ion shallow water, the sets are perfectly matched for the conditions which can be found on the fishery. I use set nr 3 when fishing for pikes on wobblers length to 10 cm, with twichbait. 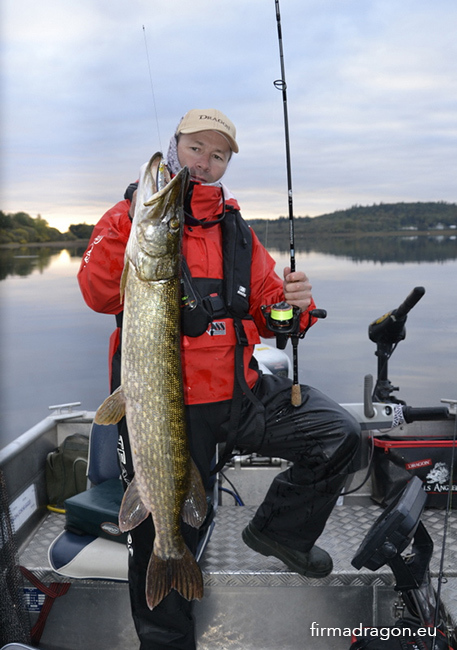 The rod is perfect with it and even big ( more than 100cm ) fish can be caught without any problems.